I'm sure you've tried using some form of ice or heat to take the edge off your back pain before. As whether that is simply having a nice hot bath or laying down on a pack of frozen peas, the relief that follows is a great feeling. And both ice and heat are good options for you to be able to self-treat your pain. However, you need to know when to use them, and more importantly when not to use them. Because while using ice or heat can help your back pain, using either one for the wrong type of back pain can cause you even more pain and discomfort. For instance, using ice on non-specific back pain can actually increase muscle stiffness and tightness. While using heat on fresh back injuries can make inflammation and swelling worse, leaving you in even more pain. So read on to discover how and when to use ice or heat and make sure you are treating your back pain in a safe manner. Ice is great for treating newly acquired back injuries. So if you put your back out lifting something heavy, suffer whiplash from an accident, or rip or tear a muscle in your back, then icing it is your best bet. This is because the ice reduces inflammation and swelling that occurs in new injuries, speeding up the healing process. And this will also dull the pain you feel in your back while reducing any tissue damage. However you need to be aware that this is only the case for fresh injuries and those that have inflammation. Because icing chronic and recurring back pain injuries that are not caused by inflammation could actually cause you more damage. As it can increase muscle tightness and stiffness which makes your back pain worse! And as inflammation is rarely a cause of persistent back pain, you need to ensure that you only use ice when you feel you have actually injured your back due to a specific event. This can be hard to do at times, because even recurring back pain can feel like a fresh back ​strain (and swelling is hard to spot). Did the pain strike you suddenly as the result of something you did? Is the area sensitive to touch and swelling up? Does your skin feel hot and look red and flushed? If you can answer yes to one or more of these questions then icing your injury should be the way to go. However, if you are just having a flare up of back pain that has no specific origins then be wary,. As this could be due to tight muscle knots instead, and these should be treated with heat rather than ice. Outdoor swimming is a popular summertime activity amongst the natives in Scotland. Now you don't need to go to the extremes of the guy above to feel the benefits of using ice for your back pain. But it can really help you after an injury. Because when you suffer an injury to your back it causes your body trauma, and as a result the area gets inflamed and swollen. And this inflammation can be extremely painful, as well as delaying the healing process. Minimise this inflammation and swelling. Reduce any damage to the tissues in the pain area. Numb any sore tissues, reducing the pain and discomfort you feel. Help your body to heal faster. So next time you injure your back due to a specific event or instance, reach for the ice and let the healing process begin. Once you are sure you are treating a fresh injury rather than chronic muscle pain, you are ready to grab the ice. Place the ice up against the area of the body where your pain is emanating from and hold it in place. However, make sure that you place a cloth between your skin and the source of ice to avoid getting 'ice burn'. Don't apply the ice for more than 20 minutes at a time. Also don't exceed 8-10 applications per 24 hours. Only use ice for the first 24-72 hours after you sustain your fresh injury. After this 72 hour period your inflammation should have gone down enough to be able to move on to the next stage of the healing process. And this is when you should switch to treating your pain with heat instead. So what can are the best things to use when you want to ice your back? You have a few options as freezable gel packs, ice packs, frozen towels, and even the old favourite - a bag of frozen peas. 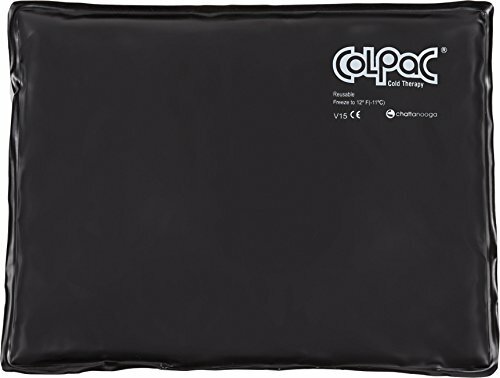 And if you want a recommendation try the Chattanooga ColPac Reusable Gel Ice Pack. 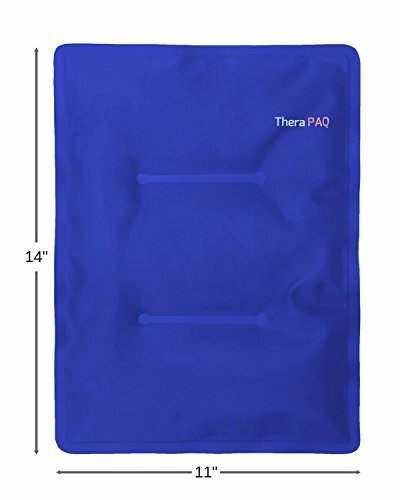 As this is an extra large reusable gel ice pack that can cover a large area and stays ice cold for 30 minutes out of the freezer. Plus it's pliable, so you can mold it so the ice stays in contact with your body at every point. Heat therapy is great for relaxing your body and mind and taking the edge off persistent and recurring back pain. This includes things treating things like muscle knots, cramps, and general aches and pains. And the vast majority ​of back pain people experience comes from these problems rather than inflammation. So using heat is the most common choice for those of us with persistent lower back pain. But how does heat therapy help you? Heat stimulates circulation within the affected area and this increased blood flow delivers oxygen and nutrients to your damaged muscles which they need to be able to heal and repair. The sensation of heat irritates the skin's sensory receptors to the point where this irritation takes priority over the feelings of pain, blocking pain signals from reaching your brain and reducing the amount of pain you feel. It helps you to relax, which is great for you physically as it reduces the amount of tension and stiffness you feel in your muscles. And it will also help you to relax mentally, which is important as people that are stressed and anxious tend to carry that tension in their muscles. So taking the time to apply heat to your tired and aching muscles can really help them to relax and loosen up. While using heat is great for chronic pain, it can be harmful when used on fresh injuries. This is because using heat on an injury that has inflammation or swelling will only make the inflammation worse. And this increases the pain you are in and delays the healing process. So for fresh injuries make sure you are only using ice for the first couple of days. And only once the inflammation has subsided can you then switch to heat to encourage your back to heal. Certain skin conditions such as dermatitis. If you have any open wounds or cuts. So if you are worried about any of these check with your doctor before using heat therapy to make sure it's safe for you to do so. People with chronic and recurring back pain can really benefit from using heat therapy when their bodies are sore. This is because it's great for getting rid of pain caused by muscle knots and cramps. In fact, using heat is a great option for any muscle pain that doesn't involve inflammation and swelling. Help your back heal from injury after the initial swelling and inflammation has gone down. Deliver oxygen and nutrients to the damaged muscles and tissues by increasing blood flow to the area. Block pain signals to the brain. Relax both the body and mind. Reduce stiffness and increase your flexibility. Get rid of stress, anxiety, and tension. Release endorphins within your body which work as a natural painkiller. So it's great, and it's also a cheap form of treatment that you can easily carry out by yourself at home. And it doesn't carry any of the side effects that using pain medication can either. To make the most out of using heat therapy to treat back pain, you need to get the heat to penetrate deep enough to reach the damaged muscles and tissues. Because it's no good just warming the skin, you need the heat to really get in there to have an effect. And there are many ways to do this and they fall into two categories. The first way is the application of dry heat in the form of things like electric heating pads and heat wraps. These can work well for surface pain but don't penetrate very deeply, and can leave your skin feeling a bit dehydrated. The second is by applying moist heat, such as taking a hot bath​, which allows greater penetration of the heat into the damaged muscles. But the aim with all of them ​is the same. Which is you need to maintain a steady, warm temperature in your pain area for a certain length of time. And the length of time you need to maintain this heat for depends on the severity of your pain. 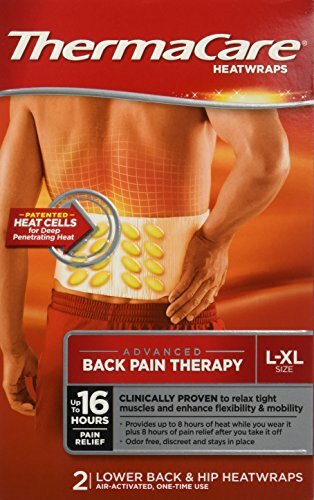 So for minor back pain look at maintaining a warm heat to the affected area for between 15-20 minutes. But if your pain is more severe then you can increase this to between 30-120 minutes. Now let's go through the different ways you can apply heat to your back. 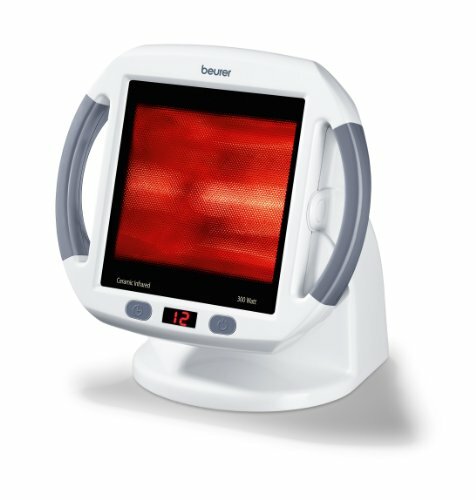 Using an infrared heat lamp such as the Beurer Infrared Heat Lamp is an easy way to get the benefits of heat therapy in your own home. 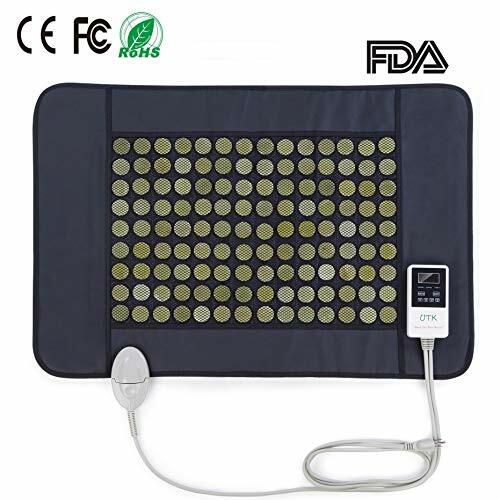 Because it has a 300 watt lamp which delivers infrared heat to any area of your body that is in pain. All you need to do is turn it on, adjust the tilt mechanism so it points and fires where you need it too, and let the heat do it's thing. This lamp is a safe one to use too as it has a timer, automatic shut off function, and a 100% UV blocking screen. So if you want to heat your lower back with minimum effort, try a heat lamp. Another way to feel the benefits of heat therapy is to use a heating pad. And these are great as you can really target the specific pain area by wrapping them around the part of your body that you need to treat. You can also use them as warm blanket to lay down on, or throw them over the back of your chair to keep your back relaxed while sitting. So they work great for relieving back, neck, and shoulder pain at home. And a good heating pad to go for is the UTK Infrared Heating Pad. As this one gives off an infrared heat of up to 150 degrees fahrenheit that penetrates deep into your tired and aching muscles. And it also comes with a velcro body strap to hold it in place. Heat wraps work in a similar way to heating pads, in that they heat the area you attach them too. This heat is only temporary but will work to keep your muscles feeling relaxed and help to prevent any cramps or spasms. And on top of that the heat will feel nice and comforting. Plus an advantage of these is that you can use them on the move, unlike heating pads that need to be plugged in. So you can wear them under your clothes during the day and still stay active. And for a good pack try the Thermacare Heat Wraps. This one is probably my favourite for getting heat therapy for your back. And the reason for that is that you can wear it on the move. As it's a tank top you wear either under or over your clothing that has an inner pouch to put two microwaveable gel packs in the lower back area. And these gel packs can be heated in the microwave and stay warm for over an hour at a time afterwards. And this heat can really help to keep you active as it can block pain signals, increase blood flow, and relax your muscles while you are on the move. And as the gel packs are within the tank top they will always stay in place even as you are moving around. So I'd thoroughly recommend a Spand-Ice Revive Tank for people with back pain that lead active lives. And you can also freeze the gel packs if you want to ice your back instead. To see how easy they are to use check out the video below. You can also get these microwaveable gel packs to use on their own. And these can be a great item to have at home. As by simply putting one in the microwave for a couple of minutes you end up with something that can penetrate heat into your sore muscles for up to an hour. So they're great for when you are sitting on the couch, and can also help you get rid of things like stomach cramps too. And if you want a good one check out the TheraPAQ Hot & Cold Gel Pack as this one is large and can mold to your body. 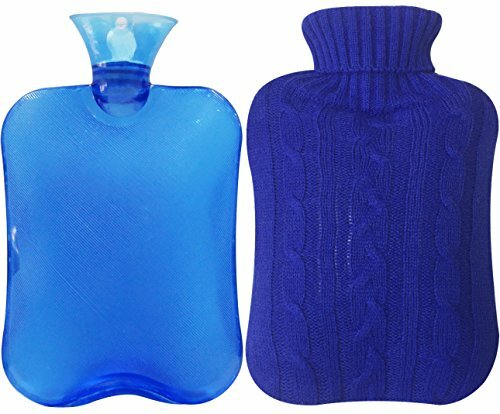 Hot water bottles are the old school versions of microwaveable gel packs. And while they won't retain heat for as long, they may be a more comfortable option for people to use for heat therapy. To use them you simply boil the kettle, fill your hot water bottle up, then place it wherever you need the heat to be. These are also great to take to bed with you as they are completely safe to use. So if this sounds like a good option for you check out the Attmu Hot Water Bottle. As this one comes with a nice cover so you won't damage your skin when using it. The easiest and most common way for people to apply heat therapy for their back pain is by taking a nice, long soak in a hot bath. As not only will the heat soothe and relax your aching body, it'll also take your mind off the pain. Which will make you feel good, improve your circulation, and increase your chances of getting a good night's sleep. 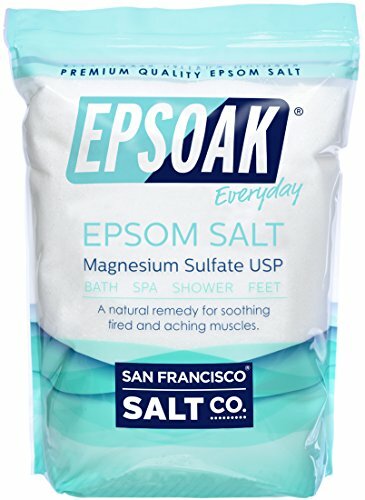 And if you want to double down on the benefits of taking a relaxing bath, add some Epsoak Epsom Bath Salts to it. As these salts contain magnesium sulfate that will work wonders on your tired muscles. And they also help to detoxify your skin and pores by flushing away toxins. So a pack of epsom salts along with a hot bath is a killer combo for back pain. As you can see, both ice and heat can be highly effective for treating back pain. However, this is only the case when they are used in the right way. So ice is the way to go for fresh injuries and pain caused by inflammation and swelling. As this helps to numb the pain as well as reducing painful inflammation which aids the healing process. However, for chronic and persistent pain that isn't caused by a specific injury, heat is the better option. As this helps to block pain signals from reaching your brain, increases blood flow to help your muscles heal, and relaxes them. So be aware of what is causing your back pain and take the appropriate action to treat it. As both ice and heat can be a big help in helping you to manage and minimise any back pain that you are feeling.